The bimonthly Canadian Space Commerce Association (CSCA) meeting, focused on the “2011 Futron Space Competitiveness Index and How Canada Compares,” which will be held in Toronto, Ontario on September 8th. The 2011 Canadian Student Summit on Aerospace, organized by the Canadian Aeronautics and Space Institute (CASI), which will be held in Toronto, ON from September 16th - 17th. The bimonthly Canadian Space Society (CSS) Ottawa Chapter meeting, focused on a review of the Carleton team's Cu3Sat entry in the Canadian Satellite Design Challenge, which will be held in Ottawa, Ontario on September 21st. The American Bar Association (ABA) Forum on Air and Space Law, which will hold its 2011 Annual Conference (co-sponsored by McGill University) in Montreal, PQ from September 22nd - 23rd. The Canadian Space Agency (CSA) Workshop on the Utilization of Field Programmable Gate Arrays (FPGA's) in Canadian Space Missions, which will be held in St-Hubert, Quebec from September 27th - 28th. September is only the start of the event season with more conferences normally being held as the fall turns into winter. With the big Canadian space and technology focused conferences (such as the Canadian Space Summit, the 2011 Canadian Science Policy Conference and the Canadian Aerospace Summit) generally occurring in November, it's worthwhile to stay tuned, since there will be be lots to look forward to over the upcoming months. But for most of us, except perhaps the people at BC based MacDonald Dettwiler (MDA) who were involved in the August 29th, 2011 Canadian Newswire press release "MDA to develop advanced technology instruments for planetary exploration," this is officially the last week of our summer vacation. Let's get our and enjoy it. After grandly announcing the "Year of the Cosmonaut" to celebrate the 50th anniversary of the first flight of Uri Gagarin and becoming (if only by default) the sole ride for astronauts to the International Space Station (ISS) since the wind down of the US space shuttle program, the Russian Federal Space Agency (ROSCOSMOS) seems to have picked a bad time to give up smoking. As recently as last month, news reports spoke in glowing terms of Russian rockets, designed in the 1960's, which just kept going and going by utilizing the "relatively less sophisticated, but durable" Russian technology. According to the August 25th, 2011 post on the Space Daily website titled "Russia grounds Soyuz rockets after space cargo craft crash," the agency "has grounded its Soyuz rockets after a space ship carrying tonnes of cargo for the International Space Station (ISS) crashed into Siberia shortly after blast-off." 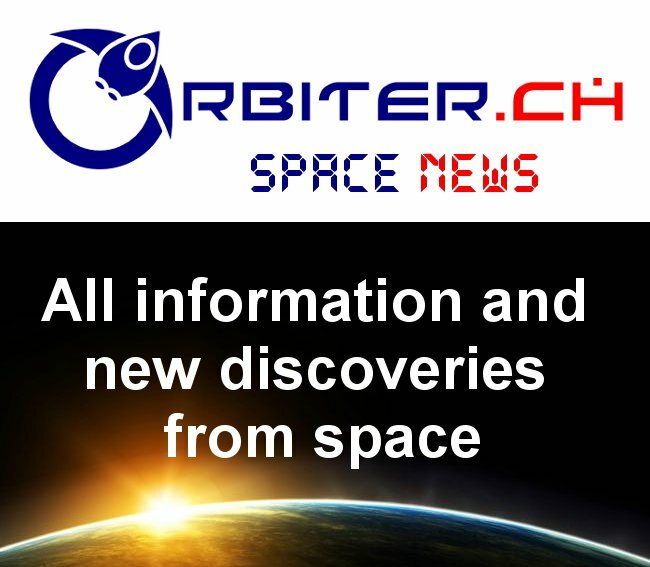 According to the article, the ROSCOSMOS website has removed all reference to future missions, leaving only "an ominous-looking black space" where the listing is usually found. As outlined in my August 23rd, 2011 post "Political Passing, Antarctic Mapping, Grounded Russians, JWST Increases and exactEarth Launches" the Russians have also temporarily grounded Proton-M rocket launches after a string of mishaps culminating in the August 18th launching of an Express-AM4 telecommunications satellite into the wrong orbit. The Proton-M mishap follows close on the heels of other botched launches, including three poorly insured orbiters which crashed into the Pacific Ocean earlier this year costing £97million and setting back Kremlin plans for a global positioning system to rival the US made GPS, according to the August 19th, 2011 Daily Mail Online article "Russia loses contact with just-launched £160m satellite in latest setback for its space industry." Even worse, according to the August 23rd, 2011 AFP International article "Russia grounds rockets after launch failure," the missing craft was first reported by observers at NORAD (North American Aerospace Defense Command), the bi-national US and Canadian command that was the Soviets' main rival during the Cold War." Just like what normally happens at the beginning of a James Bond movie. Meanwhile, back in the United States, the elected representative for California's 46th congressional district, Dana Rohrabacher (R-CA) has issued a press statement indicating that the only reasonable solution to the ROSCOSMOS dilemma is for the US to throw money at someone, at least according to the August 24th, 2011 Spaceref.com article "Rohrabacher Reacts to Russian Soyuz Launch Failure; Calls for Emergency Funding of Commercial Crew Systems." But the Russians remain silent. Even ROSCOSMOS press secretary Anna Vedischeva (a 26 year old ex-model appointed by ROSCOSMOS General Director Vladimir Popovkin despite Vedishcheva's public admission that she knows nothing about either space or public relations) isn't returning phone calls. Perhaps she does know something? The only real hope seems to be a young man with a funny British (or maybe South African and Canadian) accent who, with very little money (at least, when compared to the US government), has managed to create the first viable production electric car of the modern era (the Tesla Roadster), design a private successor to the Space Shuttle (the F9/Dragon) and create the world's largest internet payment system (Paypal), seemingly in his spare time. Or maybe this is just the summer silly season. After all, pretty much every rocket fails sometimes and the Russian rockets have had a better track record than most. John Gilbert "Jack" Layton. 1950 - 2011. 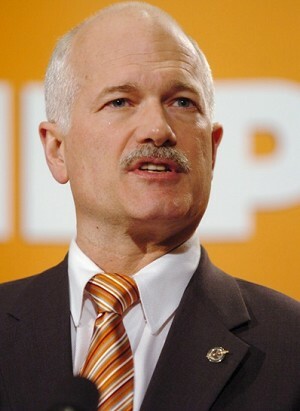 Yesterday, Canadians were saddened to learn of the death of Federal New Democratic Party (NDP) leader Jack Layton from cancer at the age of 61. His energy, upbeat demeanor, cooperative (and competitive) spirit, plus the all around positive attitude Layton projected helped grow the NDP under his leadership from a burnt out 2004 fringe collaboration of 19 parliamentary seats focused on past glories to 101 seats and official opposition status only eight years later. Hopefully, his talents will not be lost with his passing. They are useful tools (whatever the political affiliation) able to make a positive contribution to any debate on Canadian domestic, foreign, economic or military concerns. Participants in the upcoming political debates on arctic sovereignty, Canadian innovation and those who (once again) will shortly seek to define the future role of the space systems industry and/or the Canadian Space Agency (CSA) might want to keep this in mind. The August 12th, 2011 New York Times article "Tracking the Movement of Ice Across Antarctica" is reporting that a new map of how ice flows across the Antarctic, may become "a crucial tool in helping researchers understand how a warming climate is changing the continent." The map, created using data collected by Canada's RADARSAT-2 satellite, the European Space Agency (ESA) Environmental Satellite for Earth Observation (Envisat), the Japan Aerospace Exploration Agency (JAXA) Advanced Land Observing Satellite (DAICHI) and other sources was published last Thursday in the online journal Science Express. The Russian Federal Space Agency (Roskosmos) has temporarily grounded its Proton-M rocket launchers after the latest in a string of mishaps which culminating in the August 18th launching of an Express-AM4 telecommunications satellite into the wrong orbit. According to the August 23rd, 2011 AFP International article "Russia grounds rockets after launch failure," the scale of Russia's current space problems "was underscored when the first discovery of the missing craft was reported by observers at NORAD (North American Aerospace Defense Command), the bi-national US and Canadian command that was the Soviets' main rival during the Cold War." 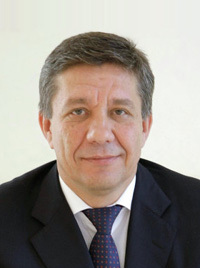 Although this is not the first time that Russian rockets have launched satellites into the wrong orbit, Roskosmos officials stressed that the grounding will not affect Friday's planned launch of a Glonass communications satellite from Russia's northern Plesetsk Cosmodrome, aboard a member of the venerable Soyuz rocket family or future launches presently scheduled using other Roskosmos operated launch systems. Cost overruns on the troubled James Webb Space Telescope (JWST) just keep rising and rising with no apparent end in site. For example, the August 23rd, 2011 Aviation Week and Space Technology article "NASA Estimates $8.7 Billion To Fly Webb" states that "managers at NASA replanning (?) the troubled James Webb Space Telescope have concluded it will cost $8.7 billion to finish the observatory in time for a launch in 2018 and operate it at the Earth-Sun L2 Lagrange point for five years." As outlined in my July 12th, 2011 post "Tracking Costs for the James Webb Telescope" the last cost estimate for the JWST, considered current as recently as July 2011 was for a total cost of $6.5 billion USD. Canada is only making a small financial contribution (around $148 million over the life of the project) and wants to remain friends with the US prime contractors so is likely hoping to avoid any direct involvement in the debate over the JWST's future. 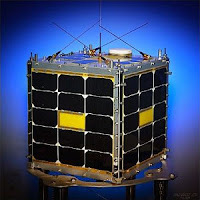 Comdev International subsidiary exactEarth Ltd. has announced the successful launch of two advanced AIS satellites (AprizeSat 5 and 6) aboard a Roskosmos Dnepr launch vehicle according to this August 17th, 2011 press release posted on the exactEarth website. 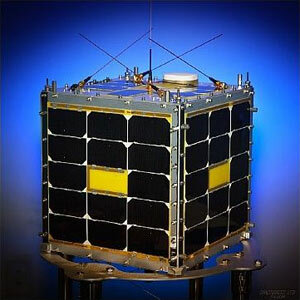 The satellites, built by US based SpaceQuest Ltd., are part of a planned constellation of 64 microsats, which will be used to create a global communication system of data transmission and fixed and mobile asset tracking and monitoring (GMPCS) facilities to gather automatic identification system (AIS) and positional data from ships at sea. As outlined in my March 26th, 2011 post "ComDev Faces Challenges and Direct Competitors" the Canadian led effort is in direct competition with with New Jersey based Orbcomm to roll out the first worldwide system able to track ships from space. It's also worth noting that, after a minor update and some basic tweaking, this blog is now able to again accept comments without my manual intervention. I look forward to new comments on this and other postings in the Commercial Space blog over the upcoming weeks. I'd like to encourage readers of the Commercial Space blog to check out the Space Conference News blog, which I've just got up and running over the last few days. While the focus of the Commercial Space blog will remain on the activities of the Canadian space systems sector, the new blog will focus on the international space systems sector, the millions of people involved in this sector and the hundreds of worldwide conferences they attend to network, job hunt and remain current in the industry. The AAS/AIAA Astrodynamics Specialist Conference, organized by the Space Fight Mechanics Committee of the American Astronautical Society (AAS) and the AIAA Astrodynamics Technical Committee which was held in Girdwood, AL from July 31st - August 4th. NASA's Lunar Workshops for Educators which was held in Laurel, MD on July 25th - 29th and in Tempe, AZ from August 1st – 5th. The 14th Annual International Mars Society Convention which was held in Dallas, TX from August 4th - 7th. The 25th Annual Conference on Small Satellites, organized in conjunction with the American Institute of Aeronautics and Astronautics (AIAA) and Utah State University which was held in Logan, UT from August 8th – 11th. The Canadian Space Agency (CSA) 2011 Space Educators Conference which was held in Longueuil, PQ from August 9th - 11th. The 2011 Space Elevator Conference which was held in Redmond, WA from August 12th - 14th. Almost 1.7 million students receive their first degree (generally equivalent to a bachelor’s degree) in space related engineering, science or technology fields worldwide each year, according to the 2011 Space Report. Most of them will eventually go looking for jobs and end up connecting with many of the approximately 14,000 government and private organizations also listed in the Space Report as being part of the international space systems industry. This industry generated $276.52 Billion USD last year and employs over 300,000 people throughout the world who need to connect with these students because there are quite a few new jobs being created which need to be filled. After all, as mentioned numerous times before, the space systems industry is a growing concern. The industry is also notoriously collaborative with narrow ranges of skills distributed widely across political boundaries. People involved essentially need to connect with others in order to fill in knowledge gaps, compare notes, exchange ideas, develop contacts and present findings for peer review or else nothing will ever move forward. So most of this group of two million will end up going to one or more of the 300+ yearly conferences that have grown up over the last 20 years to cater to the people and organizations involved in this industry. The editorial focus of Space Conference News will be on providing an overview for the “educated, informed but not necessarily specialist” reader who works in the space sector and wishes to track conferences and activities. This will be done by “intelligently aggregating” content and information from a variety of sources and then “filling in the blanks” with shorter, background sidebars which insure that the reader does not get lost in dense, jargon filled, journal type articles. And I'll start by providing a weekly listing of upcoming and recently concluded space focused conferences and events in an easy to digest package suitable for industry, conference organizers and the “educated, informed but not necessarily specialist” reader we hope to cultivate. Wish me luck. There are a lot of space conferences and very few of them are being independently covered. Bob Richards Rises to the Top, Again! For those of us who like to track the progress of the teams competing for the Google Lunar-X Prize (GLXP), the EvaDot blog has become something of a "publication of record" with it's ongoing and comprehensive coverage of the twenty eight official teams competing for $30 million in prizes to be the first commercial enterprise to land an automated probe on Earths nearest neighbor. EvaDot uses an innovative series of criteria that founder Michael Doornbos (who also organizes the annual Space-UP DC conference) calls the "Google Lunar X PRIZE Team Scorecard / Scoreboard" and which includes judgements on team funding, technical innovations, the use of social media, team connections to the wider world and milestones achieved. According to Doornbos, the GLXP isn't a "technical competition." It's really a question of money and connections. Perhaps that's why the August 8th, 2011 post on the EvaDot blog titled "Suddenly Moon Express has become the team to beat. On the rocks, with a twist" shouldn't have been a surprise to anyone. According to the article, GLXP competitor Moon Express, "armed with a billionaire backer, deep connections in the space and tech industries, and a sudden barrage of press" has become the team most likely to win the competition. And one of the people providing those required key connections is Canadian born Moon Express CEO Robert (Bob) Richards, the space serial entrepreneur and ex-Optech International space services director who also managed to find time to co-found the International Space University (ISU), Singularity University (SU), Students for the Exploration and Development of Space (SEDS), the Space Generation Foundation and even GLXP competitor Odyssey Moon Ltd. Joining Richards as co-founders in this venture are Silicon Valley entrepreneur and former NASA R&D Manager Barney Pell, who will also serve as vice-chairman/ chief technology officer plus philanthropist/ entrepreneur Naveen Jain who is acting as chairman and "billionaire backer" as described in the EvaDot article. Moon Express bills itself as a privately funded lunar transportation and data services company with the people, "partners and financial resources to blaze a trail to the Moon and establish new avenues for commercial space activities beyond Earth orbit" although the primary, initial source of revenue seems to be the chance to win the GLXP. However, a second source of immediate revenue accrues under the terms of the $30M NASA Innovative Lunar Demonstration Data (ILDD) program. According to the October 19th, 2010 post on the Luna CI blog titled "NASA Awards Innovative Lunar Demonstration Data (ILDD) Contracts" six GLXP competitors (including Moon Express) have received NASA contracts worth up to $10 million USD for data they collect on how to operate low-cost lunar missions. But perhaps the real secret to the Moon Express effort is that the participants are using existing, off the shelf components in an attempt to move the questions and concerns away from the technology and towards the business case, which focuses on mining rare materials in obscure, out of the way places. Just like hundreds of other mining companies throughout the world. As outlined in my June 20th, 2010 post "Mining as a Model for the Commercial Space Industry," the costs for deep water mining and resource collection are the same order of magnitude as space focused activities these days. As well, there are no real reason why space focused mining companies can't use the same tax credits that mining companies everywhere use to raise money, just so long as mining eventually occurs somewhere. Even if that somewhere eventually ends up being in space. . This gives Moon Express an existing and well understood "business model" which allows investors to make independent assessments into the business case and makes it more likely to attract outside investment. Of course, having a rich co-founder also helps (just ask Space-X CEO Elon Musk) and the analogy certainly isn't perfect. For one, the laws (as described in my February 5th, 2010 post "Feedback on 'the Men Who've Sold the Moon'") don't presently support the requirements needed to "stake a claim" for minerals in space. But in essence, it's good to see an old acquaintance rise once again to the top of the heap with a business idea that might, just might, begin to make a lot of business sense and help move the industry forward. 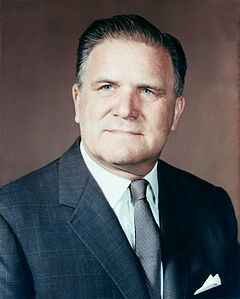 According to the August 10th, 2011 article on the NASA Spaceflight.com website titled "NASA interest in an interplanetary highway supported by Propellant Depots" the National Aeronautics and Space Administration (NASA) is actively working on a potential solution to what some would describe as one of the central problems for space missions. 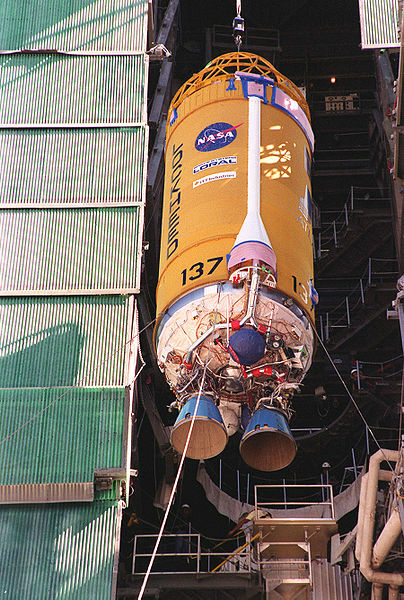 The Centaur 2A upper stage of an Atlas IIA. In essence, NASA wants to remove the need to launch self sufficient rockets containing all the fuel required to complete the mission. To this end, the NASA Human Architecture Team (HAT) is actively working "on a road map towards evolvable demonstrations of propellant depots – with a potential goal of setting up an “interplanetary highway” to enable low cost exploration." The theory is that the use of space-based propellant depots will allow launch vehicles to lift more hardware into space and travel further in much the same way that the family automobile can travel longer distances after it stops at the local gas station to refuel. The only problem is that orbital propellant depots already exist. They're commonly called the "upper stages" of existing rockets. The article even quotes "industry sources" as pointing to the small "Centaur derived depot" as an initial leading candidate for further study in this area. According to Wikipedia, the Centaur rocket was the world's first high-energy upper stage, burning liquid hydrogen (LH2) and liquid oxygen (LOX). The first successful Centaur flight took place in 1965 as part of a larger Atlas rocket and the Centaur has performed hundreds of successful launches ever since. These days, the Centaur-3 derivative of the original Centaur continues to be used as the upper stage of the Atlas V EELV rocket, and Centaur manufacturer United Launch Alliance (ULA) continues to explore new configurations and contracts for the venerable rocket. All you'd really need to do to configure a Centaur as a propellent depot would be to attach a spigot to the side so that the fuel could be transferred. This suggests to me that most of the preliminary R&D for this specific type of propellent depot has already been completed. That would indeed make the overall cost of the project cheaper, but low cost does not seem to be the primary driver for this project. For example, the current NASA interest is specifically related the so called high energy or "cryogenic" propellents, which NASA favors because of the higher specific impulse of the rocket exhaust. This makes for a higher change in momentum for each amount of propellant used and supposedly makes the rocket go faster and further. But cryogenic propulsion tanks also take a lot of work to prepare and maintain in a state of readiness both on the ground and in space. And cryogenic propulsion is not the only or even the most suitable rocket fuel for this sort of activity. The LOX and kerosene fueled Rocketdyne H-1. For example, rocket company Space Exploration Technologies (Space-X) uses a combination of kerosene (RP-1) and liquid oxygen (LOX) for fuel instead of liquid hydrogen and LOX because hydrogen (the lightest element) is difficult to cool and store as a liquid and not terribly dense even then, so the fuel tank has to be quite large and complex. Kerosene is denser and much easier to store since it can be stored at room temperature. In essence, most of the storage and cooling problems go away with kerosene, which provides substantial cost savings. LOX and kerosene are used in the lower stages of most Russian and Chinese boosters plus the first stages of the Saturn V and the Atlas V. LOX and liquid hydrogen are used in the upper stages of the Atlas V and Saturn V, the newer Delta IV rocket, the H-IIA rocket, and most stages of the European Ariane rockets. But NASA generally prefers the more expensive configuration for it's propellant depots. NASA also seems to think that much research and development needs to be done before this 50 year old, already in existence and continuously in-use technology is ready to be used again. There are sensible arguments both for and against the extra boost provided by cryogenic fuels and perhaps NASA is right and this little bit of extra boost is needed to explore the solar system. Unfortunately, they just got to be aware by now that money no longer grows on trees for NASA. It no longer even flows freely out of the mouths of their political representatives. This could possibly be the more important problem for NASA. They might need to form a committee to study this very, very closely before moving forward. 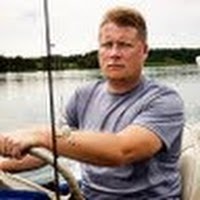 I enjoy your blog and your commentary about commercial space issues, especially with regard to Canada. Thanks also for the link to my blog. I've been meaning to comment on your recent post about fuel depots but didn't get around to it till tonight. However, either you don't allow comments or I'm failing to see how to do it. So I thought I'd just drop you an email. I think people like Dallas Beinhoff at Boeing and Frank Zegler at United Launch Alliance (ULA) would find it ironic that you are criticizing NASA for not realizing that the Centaur already puts cryo fuel depot capability well within reach. 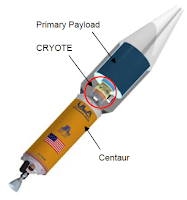 Those guys have been pushing NASA for years to back cryo fuel depot development on that very basis - the Centaur has already solved many of the problems and it is not a huge leap to a working depot. However, fuel depots at NASA have been stuck in the so-called "TRL valley of death". Their technical readiness has reach a level where an orbital demonstration or two are needed to get to the next levels that allow them to be part of a exploration mission architecture. However, orbital demos require a bump up in funding and they haven't gotten the funding because no mission architecture has included depots since they are not at sufficiently high enough TRL. CRYOTE in launch configuration. Photo c/o ULA. With the new emphasis at NASA on technology development, they may finally get across this valley. Yes, it will require some funding but not huge amounts. 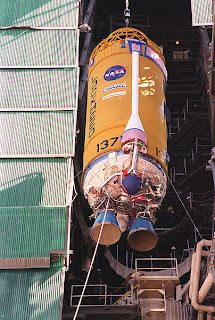 The CRYOTE (Cryogenic Orbital Testbed), for example, is a secondary payload that works with a Centaur to test cryogenic fluid handling hardware and techniques. See the presentations at http://spirit.as.utexas.edu/~fiso/telecon/Gravlee-Rhys_4-6-11/. Long term LOX storage is basically in hand but work also needs to be done to prove long term LH2 storage. However, again, this doesn't require a huge jump. There are a number of techniques, e.g. advanced insulation, sun shades, etc. that make it feasible now. It just needs a demo to prove it. Advantages of LOX/LH2 besides the high performance include the fact that it can be produced from in-situ water such as on the Moon and asteroids. It's a shame that fuel depots got so little attention in the debate the past year and half over the NASA policy changes. The potential savings of depots are tremendous. For example, no super heavy lifter would be needed for deep space exploration. Of course, much of the Congressional emphasis is on the jobs that the HLV would produce and not on the most cost-effective ways to do space exploration and development. Over time, though, the advantages of depots are too great to ignore. E.g. 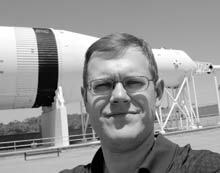 a lot of people were surprised that Doug Stanley, one of the guys who designed the Constellation architecture with Griffin, was a co-author of this paper: "Near Term Space Exploration with Commercial Launch Vehicles Plus Propellant Depot." Space Access 2010 Propellant Depot Presentations. Space Access 2008 Propellant Depot Panel. p.s. Space-X does, in fact, have a LOX/LH2 engine project on the drawing board called the Raptor. 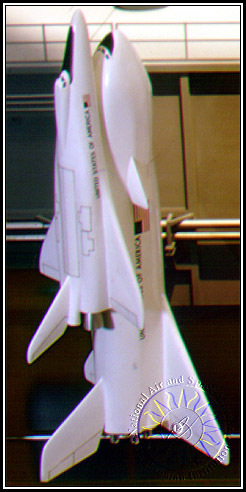 It would be used in a new high power upper stage - http://en.wikipedia.org/wiki/Raptor_%28rocket_stage%29. 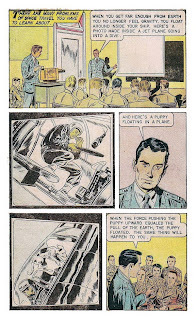 Editors Note: Clark's right and I still can't get comments to post properly so I'm putting them up manually. Send your questions, queries, concerns and comments to mr.chuck.black@gmail.com. With all the current fuss and bother going on south of the border and the large amounts of money being spent by Canadian space systems companies to open up US and international markets, it's easy to forget that space related activities sometimes do occur even at our government funded space agency. Next generation Canadarm. Photo c/o CSA. According to the CSA post "The Next-Generation Canadarm: Building on an Icon," work is progressing on the next-generation Canadarm (NGC), which the website describes as "the futuristic centrepiece of Canada’s next step in advanced space robotics." The $36 million CDN funding for the program was part of the 2010 Canadian Economic Action Plan, which is expected to wind-down this year, but which has also contributed a total of $110 million CDN to recent CSA programs. The new Canadarm includes a proximity operation system testbed and a a semi-autonomous docking system (SADS) designed to automate the docking procedure plus a smaller Canadarm (with a 3.4-metre reach) designed specifically to refuel or repair satellites in space. 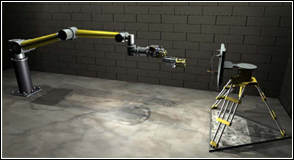 Most of the work on this new arm is being done out of the Macdonald Dettwiler (MDA) Brampton, Ontario robotics facility (which has worked on previous Canadarms) although testing is also occurring at CSA facilities in St. Hubert, PQ. Since veteran astronaut Julie Payette isn't likely to get another ride into orbit anytime soon (Chris Hadfield is the next and so far also the last Canadian scheduled for a trip to orbit, during Expedition 34/35 in 2012-2013), it's good that she has other adventurous and useful places to visit. According to the August 4th, 2011 CSA post "Julie Payette in the Arctic" one of those adventurous and useful places is aboard the research icebreaker CCGS Amundsen, surveying the Arctic ice cap using RADARSAT derived satellite imagery to track global ice flows and the speed at which the ice flows will melt. According to the post, the collected data will be used to validate and improve weather forecasting and global warming models. Assuming that the over budget and behind schedule James Webb Space Telescope (JWST) really is being cancelled (as outlined in my July 12th, 2011 post "Tracking Costs for the James Webb Telescope"), it's good to know that Canada has other options available for astronomical research that doesn't require spending $150 million CDN (or more) over the life of the project. 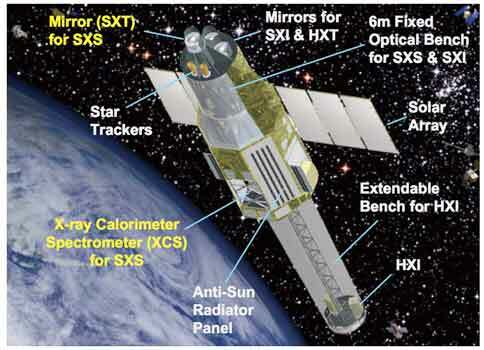 One of those options, as announced in the August 3rd, CSA press release "Canada Partners on Upcoming Japanese X-ray Space Observatory" is the ASTRO-H next-generation X-ray space telescope currently under development by the Japan Aerospace Exploration Agency (JAXA). The Canadian contribution to the mission is the Canadian Astro-H Metrology System (CAMS), which is designed to measure the displacement of the hard X-ray imager relative to the rest of the satellite. The device, build by the Neptec Design Group of Ottawa under contract to the CSA is expected to be operational when the satellite launches in 2014. It's also worth noting that Neptec (generally known for space shuttle rendezvous and docking sensors) received it's first post shuttle contract last month with Orbital Sciences Corporation to provide Neptec designed and built TriDAR rendezvous and docking sensors for the Orbital Cygnus unmanned spacecraft. Canadian space systems firms will likely move into the post shuttle era without a lot of fuss and bother and this Neptec sale is a good example of the growing opportunities now becoming available. And finally, an August 2nd CSA post is keen to remind us about "The Night Sky on Show" at least as it relates to the The Perseid meteor showers which are expected from July 17th to August 24th. However, the CSA seems to have forgotten to mention the August 3rd M-6 class solar flare which resulted in auroras and northern lights as far south in Northern Europe as Germany and Denmark. In North America, the August 5th, 2011 Space.com article "Dazzling Northern Lights Possible for Northern US This Weekend" and the August 8th, 2011 Nova Scotia Chronicle Herald article "Northern lights heading south" predict current light shows well south of the traditional range and an upswing in the aurora borealis over the next few years. Maybe the CSA will make a follow-up post on this topic later in the week. 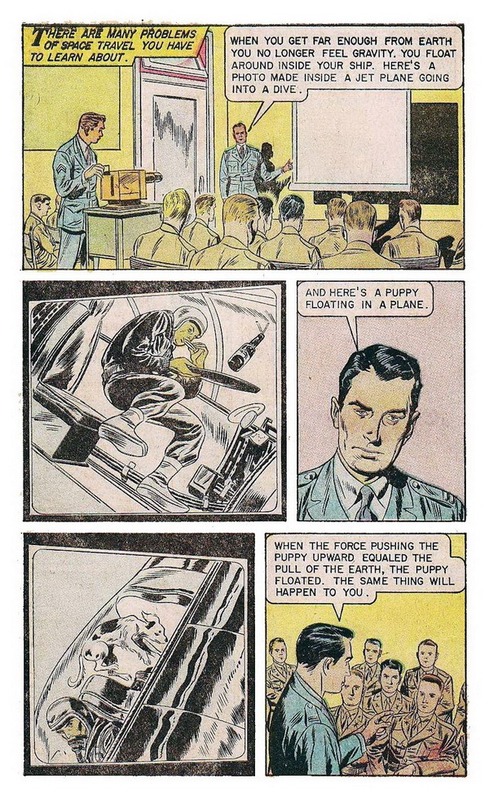 I'm sure there are lots of other fun and fascinating things going on at our space agency and we should be encouraging the CSA to talk more about them. Satellite communications provider Intelsat S.A. has publicly stated that it stands to lose over $300 million in revenue already under contract because of the deployment failure of its New Dawn satellite satellite’s C-band reflector antenna, according to Intelsat financial statements released August 4th, 2011. This comes within five months of the March 15th, 2011, announcement that Intelsat had entered into a $280 million USD agreement with BC based MacDonald Dettwiler and Associates (MDA) for the on-orbit refueling and servicing of Intelsat satellites, as per the March 15th, 2011 press release "Intelsat Picks MacDonald, Dettwiler and Associates Ltd. for Satellite Servicing." The deal is still subject to due diligence requirements and there have been recent doubts raised as to whether the proposal would be able to develop a profitable business case, especially given the faint praise the plan has so far received from the U.S. government as outlined in my August 1st, 2011 blog post "MDA, Space-X, NewSpace 2011, EADS, Futron, Shuttle Slagging & Top Gear!." This current satellite failure is expected to bolster the business case for on orbit satellite servicing. According to the August 5th, 2011 Space News article "Investigators Cite Design Defect in Intelsat New Dawn Antenna Failure" the recently launched Intelsat New Dawn satellite has been unable to deploy its C-band reflector antenna, which has deprived the satellite of half its intended functionality. The article also states the reason for the failure as being that the antenna’s spring-loaded deployment mechanism "got caught in the billows of its sun shield." The satellite, launched April 22nd and considered the first privately launched African satellite, is funded by a South African investor group led by Convergence Partners, and is intended to provide critical communications infrastructure to African customers. 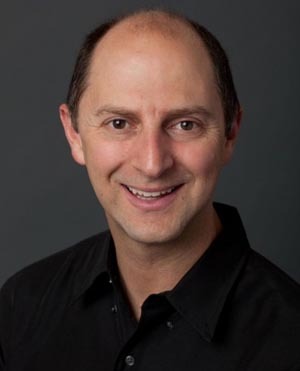 The company’s attempts to shake loose the C-band antenna in April and May used about a year’s worth of (on-board) fuel, according to one industry official. The official said New Dawn’s commercial life likely will be cut by another year given the fact that it must be flown in a way that was not planned, with the C-band antenna still tucked against its frame. New Dawn was originally expected to operate for 15 years in geostationary orbit. To get a little bit of context for the larger issues involved, here's an interesting video on the future of satellites, broadband, communications and mobile phones, their estimated growth over the next few years, cost comparisons between different systems and a discussion of the "last mile" problem from futurist Patrick Dixon, at Global Exchange. MDA, Space-X, NewSpace 2011, EADS, Futron, Shuttle Slagging & Top Gear! 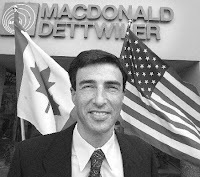 MDA President & CEO Daniel Friedmann. As discussed during the MDA's Second Quarter 2011 results conference call on July 29th, BC based MacDonald Detwiller (MDA) has announced a $500 million dollar buyback to return to shareholders a portion of the $793 million CDN acquired through the January, 2011 sale of the MDA property-information business. According to MDA President and CEO Daniel Friedmann, although the original intent was to use the cash to buy "a space company with US roots" in order to more effectively compete in the US market, there was "not a whole pile of candidates" possessing the appropriate size and capabilities, so the project has been dropped (although money remains to pursue smaller acquisition targets). As well, while the proposed $280 million dollar on-orbit satellite servicing project with satellite operator Intelsat is moving forward (as discussed in my March 15th, 2011 post "Macdonald Dettwiler gets "Anchor Customer" for Brampton Robotics Plant"), US budget constraints, a "slowdown in government decision making" and a dawning realization that the US government market was "smaller than anticipated" is also slowing down this project. According to Friedmann, NASA "needs to define it's territory" in order to allow MDA participation in future US space projects. This suggests issues relating to the recent ISS refueling tests and concerns over whether US based companies will receive preferential treatment for future NASA satellite refueling contracts as outlined in the July 25th, 2011 Spaceref.ca article "ISS Robotic Refueling Mission Problematic for MDA." The present expectation is for layoffs at the MDA Brampton robotics factory and flat earnings for 2012. Speaking of the US space program, there may be some light at the end of the budget tunnel. According to the August 1st, 2011 MSNBC article "'Red Dragon': A cheaper search for life on Mars," NASA has begun working with private spaceflight firm Space Exploration Technologies (SpaceX) to plan an unmanned mission to Mars using existing Space-X technology. 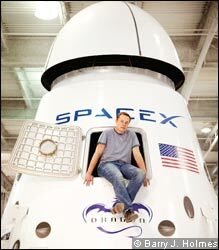 According to the article, the NASA science hardware would fly to Mars aboard a Space-X Dragon capsule (which the company is currently developing to ferry cargo and astronauts to the International Space Station) for a substantially lower cost than the upcoming $2.5 billion Mars Science Laboratory (MSL) mission, which is presently scheduled for launch in November 2011. According to the article, the mission (called informally "Red Dragon") could be ready to launch by 2018 and would cost $400 million or less. Speaking of change, most of the current and up-coming crop of space experts and entrepreneurs spent most of last week at the NewSpace 2011 conference, an annual event organized by the Space Frontier Foundation and video streamed live over Spacevidcast.com. Anyone looking to learn more about the event or the topics discussed should check out Hobby Space News where Clark Lindsey is keeping a timely record of activities. This, not NASA or another national government agency, nor any large defense contractor or even some sort of international regulatory agency is where our space future is going to begin. Here's an example of some of the discussions and proposals percolating through the conference from Forbes Magazine. Speaking of growth, according to the August 2nd, 2011 Wall Street Journal (WSJ) Online article "EADS to Acquire Satellite Company," the European Aeronautics Defence and Space Company (EADS) has agreed to buy mobile satellite-services provider Vizada from private-equity fund Apax France for €673 million (or $969 million USD). EADS has made four acquisitions in recent months, including Canadian aviation repair and overhaul company Vector Aerospace (which was discussed in my March 28th, 2011 post on 'The Difference Between "Aviation" and "Space'"). According to the WSJ article, the EADS strategy is to diversify its services outside Europe "to reduce the company's dependence on Airbus, its large aircraft division" and to reduce "exposure to the weak (US) dollar." 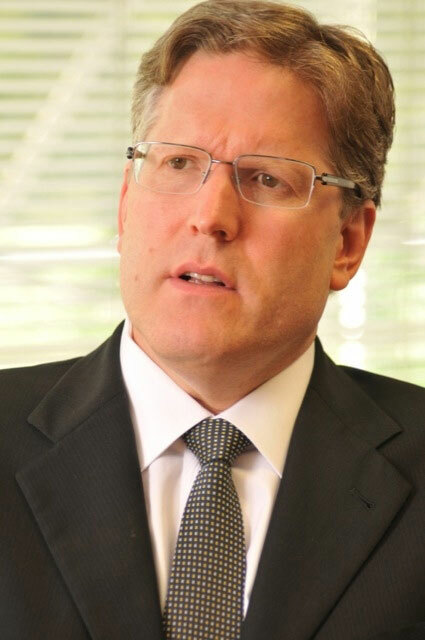 Futron senior analyst Jeff Foust. Speaking of tracking change, the 2011 issue of Futron’s Space Competitiveness Index (SCI) has just been released and is available for download on the Futron Corporation website. According to the SCI, "global space activity drives a substantial economic engine, fosters national pride, and advances science and exploration." But while the US "remains the overall leader in space competitiveness" it's relative position "has declined for the fourth straight year as other countries enhance their capabilities." How does the SCI assess Canada? According to the report "Canada retains a skilled space workforce, and Canadian space companies did well in 2010. But delays in space policy refresh and implementation are offsetting these competitive advantages." According to Scott Locklin in his July 22nd post "Good Riddance to the Space Shuttle" from the Locklin on Science blog, the recently retired NASA spacecraft is an object lesson in the sunk cost fallacy, which predicts that people who've spent money on some item or activity will continue to do so, even when this is no longer a sensible course of action, in order to protect their "original investment." Locklin reminds us that the shuttle was originally supposed to launch like an ordinary aircraft with a reusable first stage. He states "the shuttle could have been awesome; it could have used Scramjets instead of rockets. It could have used titanium instead of aluminum. It could have been designed incrementally, instead of being a multi-billion up front investment we really wish had paid off. The only reason the thing ever flew was politics; dump that much money into something, and it has to 'work.'" While we're on the topic of alternative configurations for the space shuttle, here's a two year old reminder from the BBC series Top Gear that there is at least one other thirty year old, seemingly reusable transportation system that tapers to a point like a rocket. Gaze in wonder as Hammond and May attempt to turn a Reliant Robin three wheeled automobile into the largest and most powerful non-commercial, reusable space transportation system ever launched from Europe. It's 'mind-bogglingly complicated" just like the US space shuttle and very, very funny . 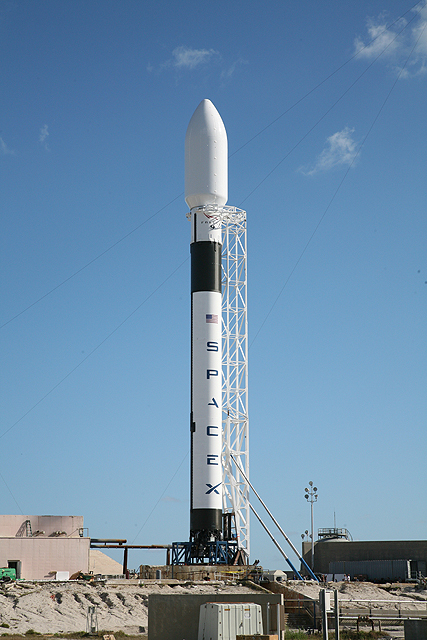 By the way, has anyone, anywhere been able to figure out how a segment producer for a television series was able to build the largest and most powerful non-commercial rocket ever launched from Europe and still stay within his weekly program budget?